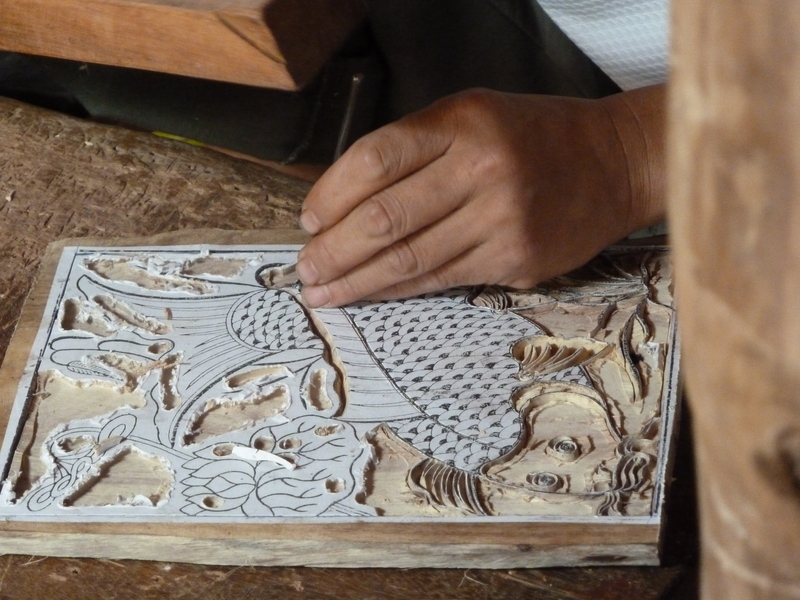 The wood block in the upper left of the photo is used to hit the nail that chips the extra wood away to create the fish. I decided I would show you all my morning workout routine. 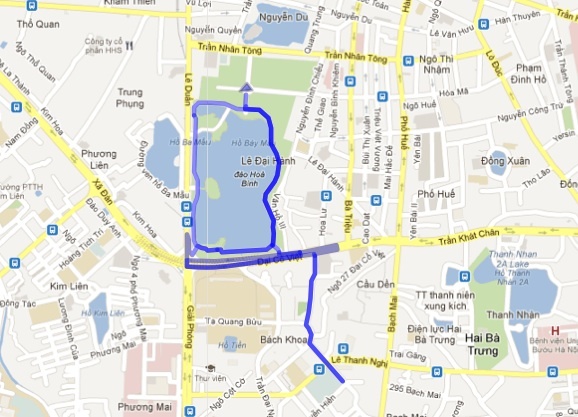 There are some downs to living in the university student district of Ha Noi, but a major up to living here is the fabulous park that is a quick jog away from our student guesthouse. The park is filled at all times of day with all sort of Vietnamese people both male and female doing various kinds of exercise like jogging, ballroom dancing, yoga, tai chi, zumba and even working out on the jungle gym! Almost every morning I go for an early run to the park. I run 1.5 times around the lake where I then stop at a jungle gym area to do lunges, squats, pushups, situps, pullups and other exercises on some of the equipment. Afterwards I run back the way I came home to the guesthouse for a quick shower before class. Sometime other female students and I get funny looks and comments in Vietnamese, but people have started to get used to some of us working out consistently. Even the guys at the jungle gym area are getting used to us and inviting us in to the rotation on the pullup bar! The ideal women in Asian cultures, not just Viet Nam, are thin and muscle-less. So, for William Smith athletes it can be a bit awkward and sometimes uncomfortable to work-out and be ‘big’ here. Even still, there are a lot of Vietnamese women at the park participating in activities like dancing – I guess to stay thin! I’m sure in the countryside you see some strong women. I recall some old ladies wielding machetes that I wouldn’t mess with. The topic of body image is very interesting, as is the thought that the Vietnamese guys you work out with may talk for many decades of the Amazonian American women that could beat them up! 🙂 Nice job using Google Maps to chart your run! Countryside women are definitely strong, but still super thin- I can’t find muscle definition on them anywhere, but they sure can carry a very heavy load in those baskets! The body image issue in Vietnam is very interesting; weight is talked about constantly in a very public sphere of discussion. Fat = money (and good cook! ), but the ideally beautiful woman = thin, pale, weak. So generally in Vietnam, Americans are VERY BIG and perceived as VERY RICH! Better late than never, right? I hope so. I found this iconic propaganda poster at the Ho Chi Minh Museum in Ha Noi. It was used to help fuel the unification movement in Viet Nam under the leadership of Ho Chi Minh first against French colonialism and then, perhaps more importantly, against American aggression. The words (without proper accents) “độc lập thống nhất hòa bình hạnh phúc” in English means “Independence, Unification, Peace, Happiness”. Ho Chi Minh is a fascinating character. I loved visiting his house on stilts in Hanoi. I also like to think about his time in the US as a younger man, wondering what he though about us and if he ever had any inkling that we might send whole armies to kill him! Otherwise, it is interesting to see that politicians everywhere find great value in carrying small children in front of the public!